Makemake a Dwarf Planet & Cubewano has Escape Velocity of 0.8 kilometer/sec which is nearly 0.07156 times the escape velocity of the Earth. Makemake has Surface Gravity is 0.5 m/s2 which is roughly 0.05112 times the surface gravity of the Earth. 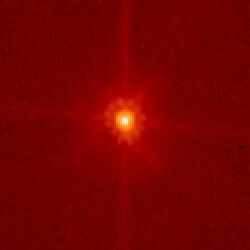 Makemake is a dwarf planet in our solar system discovered in 2005. It revolves around sun in an elliptic orbit.